About six years ago, my sister decided to work abroad and left her three kids and husband behind to become a domestic helper in Hong Kong. I had immense fear. I feared for her safety, and I feared for her family’s situation, but my sister calmly told me, “Sacrifices have to be made for the family. I’ll be fine.” After a few months in Hong Kong, my sister and her employer got into a dispute, and this resulted in my sister filing a law suit against her employer. As my sister bravely faced her own legal battles abroad, we, the family, were left in the dark not knowing who to turn to or ask for help. As for my sister, she was left to fend for her own in a foreign land. Desperate to find another employer, my sister asked help from her agency and other agencies who did not do anything but ask for more money for all reasons I found to be absurd and suspicious; the agencies still kept the money even after they failed finding her employment. Truth cannot be denied that out there, there are agencies and individuals who would con their fellow overseas foreign workers (OFWs) for selfish financial gain; this is in addition to the lack thereof of available government programs to help OFWs abroad and at home. In the end, my sister won her case, was given her unpaid wages and a paid ticket back to the Philippines. With that short stay in Hong Kong and a win on her law suit, my sister came home to face another battle – to save her marriage. OFWs and their families are involved in two, among many, major battles. First, they have to endure the separation from their love ones while still maintaining their family’s integrity back home. This applies to all OFWs but more to parents leaving a partner and children behind, but single OFWs too face the blunt reality that family support is no longer a tricycle, jeepney or bus away. Second, they face the battle to survive the challenges and demands of working in a foreign country, adjust to their host country’s laws and culture, and find normalcy in their new environment. Apart from all these, they have to endure the longing of love ones each waking day. These are just a few of the sacrifices an OFW makes. Since I started writing this entry, there are two discernible themes – LOVE and SACRIFICE. I think these two are the main components that keep OFWs alive and thriving. If you ask a number of OFWs why they chose to work abroad, you wouldn’t be surprised if the common instantaneous response is, “It’s for my family.” It is a common response, but it is such an unselfish and loving response. This proves that no desert is hot enough, no distance too far, or no country too cold can keep an OFW from uplifting his or her family’s welfare first before his or her own. And to those left at home, they are left to endure the absence of a mother, a father, a sister or a friend. For a parent, left to assume the responsibilities of both mother and father, he or she must solely look after the children because there’s a balance to be kept, a gap to be filled, and normalcy to be attained. In my sister’s absence and with the intent to keep the children’s lives as normal as possible, we, my family and relatives, stepped in to look after her children, but no matter how much love, sacrifice and guidance were given, someone or something will still go astray. It is regretful that my sister’s marriage did not survive. So before anyone decides to work abroad, one must take into consideration EVERYTHING. Sit down with your whole family and decide what is best. Ask for everyone's cooperation to keep the communication open and to maintain the family bond strong. Make them understand that when someone decides to work abroad, there are things at stake, but emphasize to yourself and your family that the family always comes first. Before you board that plane to somewhere, keep your family and love ones in your heart and never let them go. Yes, my sister’s story is not new, but it cuts deep through the heart of every OFW who has to endure time away from family and friends. My sister’s story is neither special nor unique, but what happened to my sister’s family is an example of what some members of the OFW community are facing these days. The breakdown of the family structure is just one among many growing social problems that some OFW families face today. This needs to be addressed individually and socially, but I'd like to address the individual foremost, self-discipline and self respect is key. To OFWs and their families, it is important to remain true to God and your vows, imbibe in your children the importance of faith, good values, and loyalty to family. Most of all, you must demand from your individual self to be a good example to your family, your community, and your country at all times. Lead by becoming a good example. To your fellow OFWs, unite and help each other. Since you are all going through very similar circumstances and challenges, do not fail to extend a helping hand or offer a shoulder to cry on for those in need. Become messengers and beacons of strength and hope. Trash that crab mentality and put into practice the essence of bayanihan. Help each other. Uplift each other. As more people join the OFWs’ community, it is a powerful entity that can demand and advocate for more rights, protection and security from the Philippine government and host governments. As a united community, you own a powerful voice; use it. The results may be slow, but as trickling water slowly carves a rock, your advocacy will make way to friendlier policies for OFWs. Change may not be visible now, but it will pave way for improved rights and policies for future generations. Advocate change now! Inspire the community! Inspire the country! Inspire the world! If you like what you read, please click here to vote. Thanks for sharing this Kayni! Very well said... and totally inspiring. Thank you for believing in the advocacies of PEBA. God bless you and your family. May your support to PEBA's theme this year of strengthening the OFW family reach out the most number and continue to make a difference. This is an inspiring piece. There's a big chunk of sacrifice for anyone who is away from the homeland. i've heard of news lately of illegal recruiters victimizing some poor kababayans who hope of working abroad. some of these sold their houses, nangutang pa, just to pays "fees." only to be fooled. these illegal recruiters must be hanged. wala silang konsensya. kaya ako saludo ako sa mga OFWs eh. di yata biro ng mag take ng risk sa ibang part ng mundo. i mean culture plang ibang iba na. tapos yung mga tao pa sa paligid and what if solo ka lang dba. @ Sheng, Thank you for taking the time read. @ The Pope, Thank you. God bless. @ Gremliness, I think you should write your piece. It doesn't matter if it gets through the selection, as long as your opinion is out there - that's all worth it. @ Wits, I'm glad you find it inspiring because that's what I wanted it to be. @ kg, tama ka. I was so furious when my sister was already having a tough time in Hong Kong and certain agencies kept asking for more money. @ dyanie, Ang laki ng sakripisyo nila and including their families. Like you, I salute them too. I didn't include it na in my blog entry that my HK-based aunt lost her battle marriage-wise. Her husband took to drugs and womanizing to fill his time. He also became lazy. That destroyed their life together. So I hope your sister succeeded where my aunt didn't. @ Pinaywriter, Thank you for visiting. Unfortunately, my sister's marriage ended as well. your entry is really an eye=opener and very inspiring. i hope we get our messages to all the OFWs and their families. I was reading Simon and your's entry. It is such a powerful entries, at this early stage. A validation that there are very many out there suffering, and that families are destroyed. This got to stopped. I don't know any means but we are trying our best, even in a little way. Umiinit na naman ang ulo ko. Umiinit na naman ang ulo ko sa pagiging inutil ng ating gobyerno sa kaso ng kapatid mo. Ano pa at sinuswelduhan natin ang mga nasa embahada kung hindi naman nila ginagawa ang trabaho nila na protektahan ang mga Pilipino nasa abroad? Marami akong napapanood na malalang sitwasyon na tulad ng nasulat mo sa TV. Grabe. Buti na lang at nanalo ang kapatid mo. Tama ang nasabi mo. Kailangan natin bumuo ng isang komunidad para magdamayan ang mga Pilipino kahit saan lugar pa sila mapadpad. I am with all OFWs on this dahil ako rin ay may mga kamag-anak na nasa ibang bansa. i used to work for an NGO committed to migrant workers' issues. this post captures quite clearly the sacrifice that they and their families have to make. congratulations, kayni! @ NoBenta, Thank you for visiting. @ Mr. Thoughtskoto, I agree. There are too many suffering, but every little thing that we do counts. Thank you for visiting. @ Ishmael, Ako rin - galit. Ang galit ko nandito pa rin. 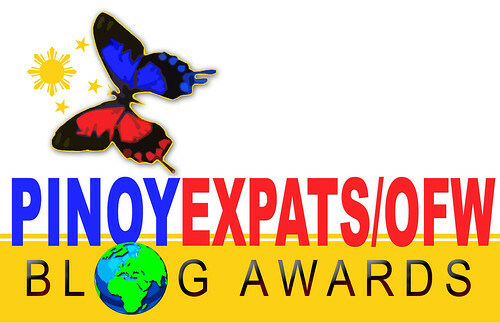 Hopefully, we can create a voice for OFWs, para naman marining ang kanilang hinaing. Salamat sa pagbisita. @ Toni, I agree. Thank you for visiting. @ Anna, Thank you for visiting. I am with you there. I will join the collective voice of the Filipinos who care for the OFWs. I pray for something better under the new administration. Many out there have experienced similar situations in their quest for a better life abroad. it's not easy to be an OFW. it's not easy to decide to leave your family .. needs a lot of thinking and support from each other. @ Ishmael, Thank you for visiting. I know that if we keep on voicing out our concerns, we can make a difference. @ NFB, Thank you. I do hope that even with the smallest deed, I can inspire some change. @ Carnation, I agree. When my sister decided to work in Hong Kong, my heart felt like it was being ripped apart. what a great entry Kayni! after that, he turned to us, his children and advised us to do our best to succeed back home so there won't be a need to go abroad anymore. but i guess we always idolized him a lot, being able to travel while working..
@ anonymous, Thank you for reading and commenting on my entry. I agree - trust plays a major factor here, especially when partners have to be separated for long periods of time. I hope you're well. God bless you wherever you are. ako si Anonymous.. jehan... i didn't realize i accidentally clicked anonymous even after typing my name..
thank you very much and again, good luck and more power to your blog and entry. this us a nice read,thanks for sharing. Just doing rounds among the PEBA 2010 entries. I'ts very painful to hear a news about an OFW suffered just because they want the best for their family. Being an OFW/Expat needs a lot of courage and sacrifice in order for you to survive in this kind of battle. @ Jehan, Ikaw pala si anonymous..lol. Thank you for visiting. @ Mac, Thank you for the visit. @ Nortehanon, Thank you for the visit. @ Ana, Thank you for the visit. It's really painful especially when you see your sister go through a LOT. advocate change now, inspire the community, inspire the country! inspire the world! congrats for winning the 2010 PEBA! Hello, Kayni! Congratulations in winning the 3rd place. You deserve it. Nice post.... first just want to congratulate you for winning the 3rd place... I was inspired by your post.Keep on writing and share your thoughts and experience for the Filipino's who keeps dreaming and fighting for their family. Hope we can exchange network blog and follower. A true to life story..If we only have choice to just work in our country I think much better.. This is an interesting read, Kayni. The cruise company I told you about employs many Filipinos and made me think about their long absences from home - 8 months on ship, two months home, and then back to work. One of the things I liked about the company was that it was such a happy ship, and this seemed to be genuine. A Filipino waitress I enjoyed talking to told me the staff had to speak English when they were working, but that below decks, although they communicated with people from other countries in English, they were told they should always speak with their compatriots in their own language - a little touch that I'm sure helped to ease homesickness even just a little. I've often read horror stories about agents who, as you say, actually make money from deceiving their own compatriots in a foreign land. We have many examples here in the UK - they come to light regularly in the news. It's both baffling and tragic.